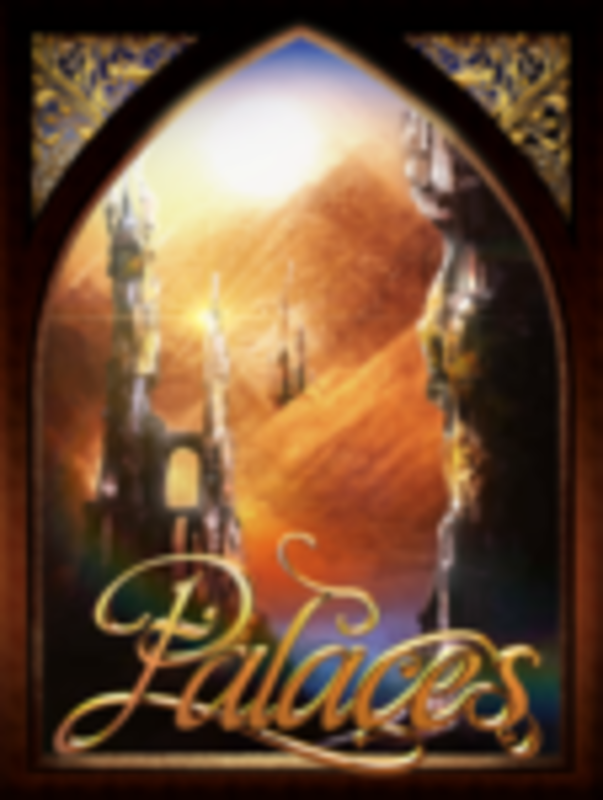 Palaces is a deck-building bidding game in which you win cards and build towers. On a turn, the active player chooses to draw from one of three stacks of cards, then all players bid or drop out. There is only one round of bidding per card. Bids are valued based on the size of a suit (e.g., three-of-a-kind beats two-of-a-kind, etc. ), and if the size matches, you compare suits: Gold, Silver, Crystal, Marble. If size and suit match, compare a secondary bid (3 gold and 2 marble beats 3 gold and a silver). The highest bidder activates the card's special effect and adds it to their discard pile. (Eventually it returns to their hand and activates again when in a winning bid.) The winner of the bid also gets to add a room to one of their two towers, while the other players draw cards. Play proceeds clockwise. Each player's two towers must match one another. The winner is the player with the tallest lower tower. Unlike most deck-building games, you do not void your hand after your turn. Players who win bids discard their bids to build their towers, while other players draw cards.